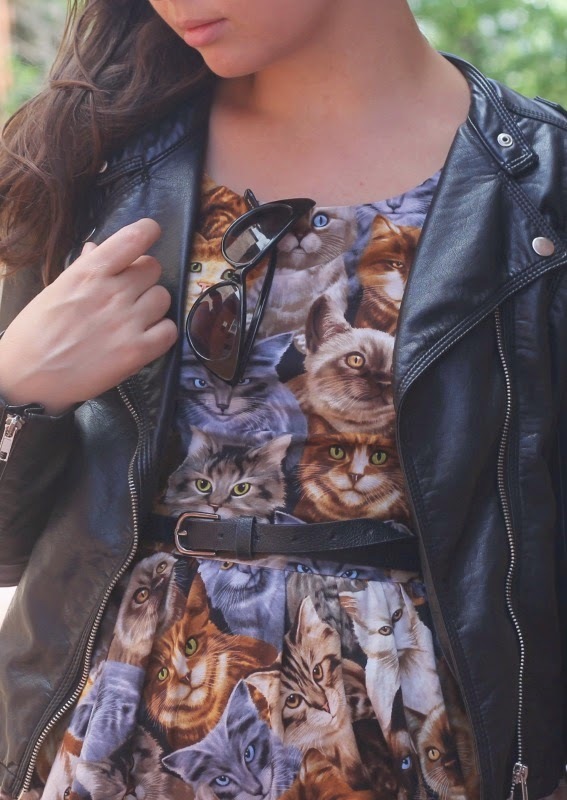 Cat Dress: Borrowed from Sammi. 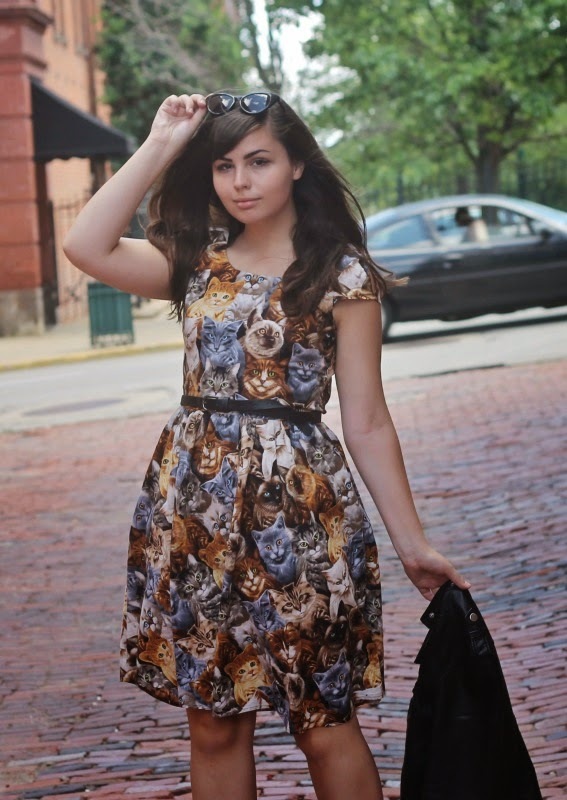 Here is the second of three looks styling up this kitty dress! My instinct to initially style it was vintage and feminine, but it can be styled the total opposite, as well. A dress this sweet doesn't always have to be styled that way--I kind of love it with tougher accessories to add some edge. I had a really lovely weekend with a nice balance of working and hanging out with friends and family. It was Steak N' Shake's 80th birthday on Saturday so my boyfriend and I of course had to go for milkshakes! I've also been really trying to work and get motivated more about doing Bible studies and getting into youth groups. It's not that I haven't been motivated...but I just really want to grow closer and strengthen my relationship with God this summer. I have the time and resources, and I want to utilize them. I've just had this draw and pull to do more and become more involved when it comes to my faith, so I'll take that as a whisper from God and run with it. Absolutely in love with this dress. And it looks really good on you! I love this look from head to toe! I would wear this in a heartbeat. Wow! I absolutely love this combination - you've convinced me I am in desperate need of a leather jacket! 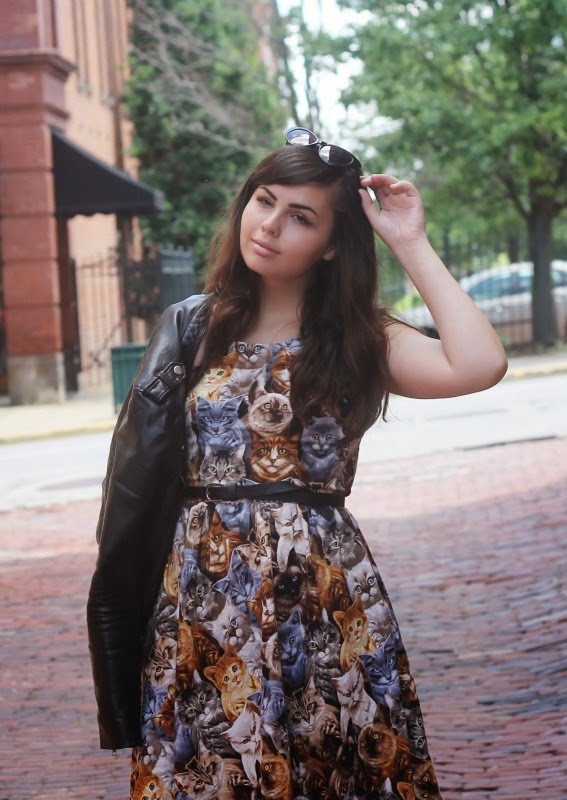 I've really enjoyed this little "mini-series" of posts on the Cat Dress, and hope to see more like it in the future! Cute! I like it with the belt added, and the cat eye glasses :) I'd love for you to check out my new post! I'm back in the blogging world (hopefully for good this time)! 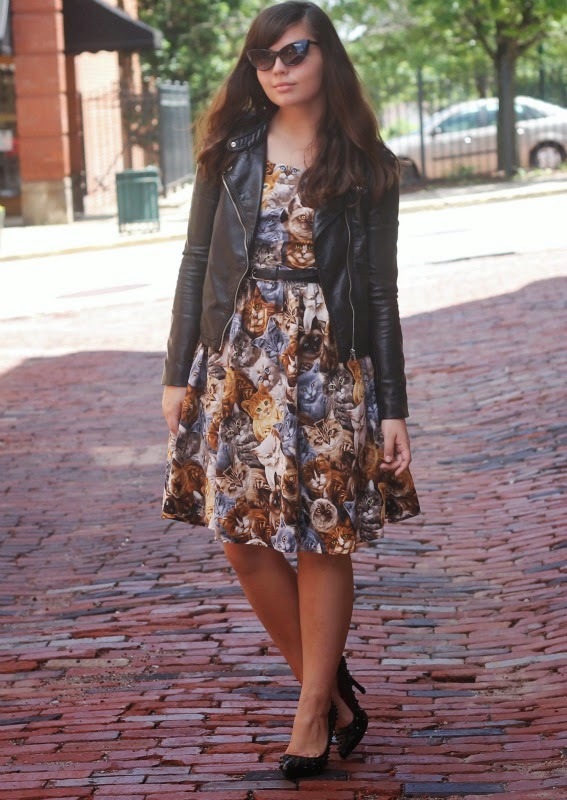 I've seen this dress on other bloggers, but really love it here; have never seen it paired with a leather jacket and it lends a tough air to it.